Petar Dimov was born in Plovdiv (Bulgaria) in a family of folklore musicians. He began playing the piano at the age of 3. Since 2001 he has been a student at the local National School for Music and Dance Arts ‘Dobrin Petkov’ in the piano class of Svetlana Koseva until his graduation in 2014. He has been studying at the Royal College of Music in London with Professor Norma Fisher since 2014. In addition to his piano studies, Dimov has taken part in many masterclasses with the following teachers and renowned pianists: Prof. Tamara Poddubnaya (USA/Russia), Prof. Stella Dimitrova-Maystorova (Bulgaria), Dr. Georgy Slavchev (Bulgaria/USA), Branka Jiravac Yeremich (Serbia), Prof. Eric Heidsieck (France), Prof. Milena Molova (Bulgaria), Prof. Atanas Kurtev (Bulgaria), Prof. Bozhidar Noev (Bulgaria), Marisa Blanes (Spain), Luciano Sarmiento (Spain), Prof. Boris Romanov (Russia), Prof. Michel Beroff (France), Anna Petrova (USA/Bulgaria), prof. Pierro Rattalino (Italy), prof. Boris Petrushansky (Russia/Italy), Aleksandar Madzar (Serbia/Belgium), prof. Tatevik Mokatsian (Armenia/Germany). Petar Dimov has won many prizes at music competitions in recent years. 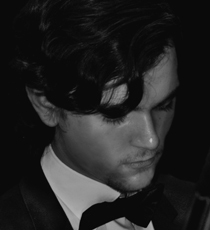 In 2002 he won the prize ‘Young Virtuoso’ at the Music and Earth International Competition in Sofia (Bulgaria). Two years later he won the 2nd prize winner at the ‘Hopes, Talents, Masters’ International Youth Music Festival-Competition in Dobrich and Albena (Bulgaria). He won two 1st prizes in 2006 - at the Nicolai Rubinstein International Competition in April - Paris (France) and at the Carl Filtsch International Competition – Festival for Pianists and Composers in July - Sibiu (Romania). In 2007 he was awarded the Grand Prix at the International Competition of Young Pianists 'Vuckovic' in Belgrade (Serbia) and 1st prize at the Evangelina Tijarri International Piano Competition in Larnaca (Cyprus). A year later he won the 2nd prize at the International Competition for Japanese and Bulgarian Music in Sofia (Bulgaria), 1st prize at the International Music Competition 'Citta Di Moncalieri’ in Turin (Italy) and 3rd prize at the International Competition of Piano Rotaract-Rotary in Palma de Mallorca (Spain). In 2009 Dimov won the Special prize of the jury for the best performance of music from the 20th/21st century at the ‘Young Virtuosos’ Competition in Sofia (Bulgaria) and was awarded with the Grand Prize for achievements in art in 2008 by the Dimitar Berbatov Foundation. In the following year Petar Dimov became 1st prize winner at the FLAME Competition in Paris (France) and 3rd prize winner at the Pera Piano Competition in Istanbul (Turkey). In 2011 he was awarded 2nd prize at the International Competition for Young Pianists in Craiova (Romania). Petar Dimov has also successfully performed in the ‘Marco Fortini’ Piano Competition in Bologna (Italy) and ‘The Muse’ competition in Santorini (Greece). In 2012 he received two 1st prizes at the International Piano Competition ‘Schumann-Brahms’ in Plovdiv (Bulgaria) and at the International Competition for Young Musicians ‘Ohrid Pearls’ in Ohrid (Macedonia). During the same year, he was a soloist of the chamber ensemble of the Plovdiv Opera-Philharmonic Association. In April of 2013, Petar Dimov won the First prize at the prestigious ‘Scriabin’ International Piano Competition in Paris (France). In 2013 his accomplishments as a pianist, chamber musician and accompanist were acknowledged by two prizes - from the Union of the Bulgarian Composers and the Bulgarian Ministry of Culture. Petar Dimov has been a scholar of Rotary Club - Plovdiv since 2006, being the only scholar winning the yearly scholarship 8 times in a row. He has acknowledged the 20th and 21st anniversaries of the Club by giving solo recitals in his hometown (Plovdiv) and the capital (Sofia) which received wide recognition by the major national medias. 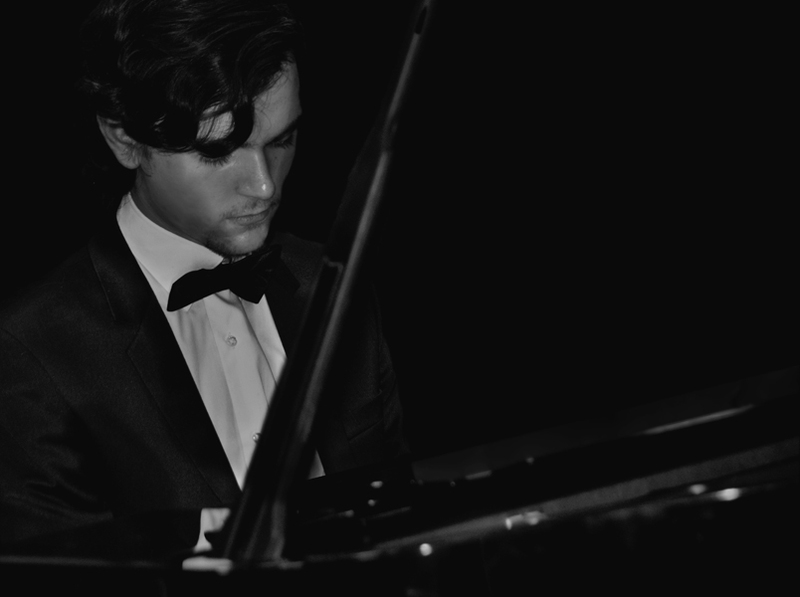 In 2014 Petar finished his secondary school education and had a graduation concert with the Plovdiv Philharmonic Orchestra, performing Prokofiev’s Second Piano Concerto. He was awarded a prestigious scholarship by the ABRSM (Associated Board of the Royal Schools of Music), which enabled him to study at the RCM. He has given solo piano recitals in Volos, Athens (Greece), Edirne, Istanbul (Turkey) Plovdiv and Sofia (Bulgaria), which have received very positive reception and some of them have been recognised by the respective National medias. In 2015 Petar took part in various concert activities at the RCM. He has been active as a chamber musician in a duo with the Polish violinist Filip Ćwiżewicz, performing at the Mill Hill school and all major halls in the RCM. Petar Dimov is also a composer and has written a number of works for various ensembles and an extensive repertoire of solo piano pieces. His piano sonata was premiered in July 2015 with a very positive reception by professors from various UK conservatoires. Later in 2015 he acknowledged Arvo Pärt’s 80th birthday by writing a large work for string quartet dedicated to him. He has also completed a choral work in early 2016 dedicated to Shakespeare’s 400th anniversary, setting the 19th Sonnet. He also successfully took part in the Contemporary Music Competition at the Royal College of Music with a major composition of his for solo piano a few months later. In early July, he finished composing a set of children pieces for solo piano which will receive their premiere later this year. In addition to all aforementioned activities, Petar has been maintaining a high academic standard during the first two years of his education at the RCM.